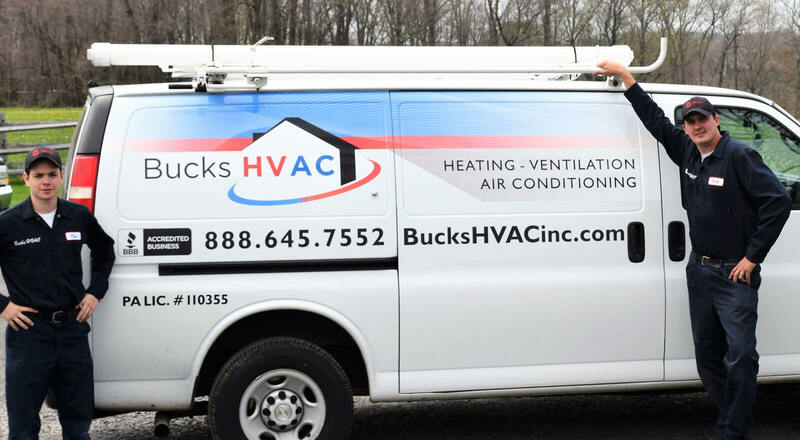 Bucks HVAC is a local, owner-operated heating and air conditioning business based out of Jamison, PA. After years of working for a large HVAC company in the region, we set out on our own to provide customers in Bucks County with reliable, personable service at a fair price. Our mission at Bucks HVAC is to build trustworthy, long-lasting relationships with our customers and to provide them with the best value. At Bucks HVAC, we strive towards being the most professional heating and air conditioning company in the industry. From sales to service to installation, we want to give our customers the best possible experience in every aspect of doing business with us. Whether it be wearing booties over our shoes when we enter a customer’s home or submitting warranty and rebate information after the sale, we always go the extra mile for our customers. Even though we are one of the most affordable HVAC companies out there, that does not mean that we install low-grade equipment or sacrifice on our quality of work. When it comes to installing a new system, we only install the best equipment on the market. When it comes to repairs, we only use OEM parts. As an owner-operated company, we can guarantee that the technicians installing or servicing your equipment are some of the best in the industry. Need Heating or Cooling Services NOW?